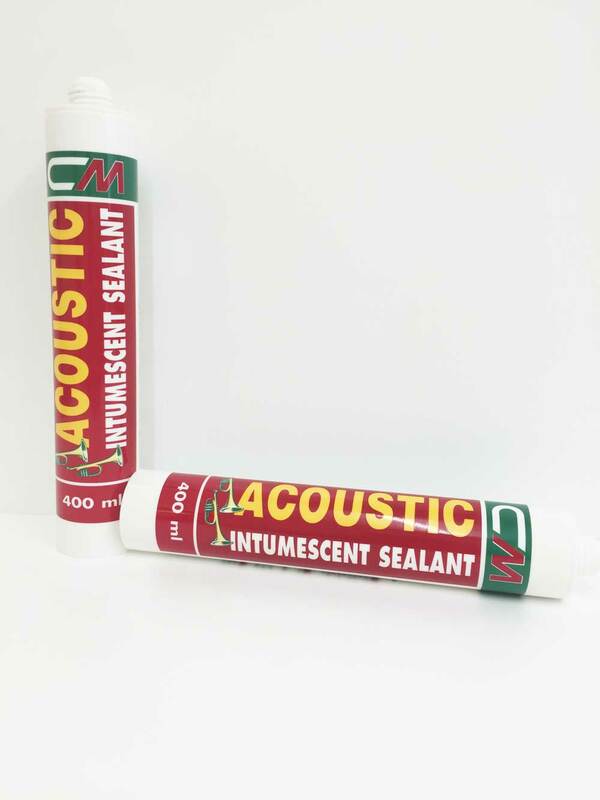 CM Acoustic Intumescent is a 2 hour fire rated acrylic also has a 55dba sound rating. For use as a fire stop product round doors and walls. Come in white only but grey can be made to order. CM ACOUSTIC INTUMESCENT is a one part emulsion acrylic which cures upon exposure to the atmosphere. CM ACOUSTIC INTUMESCENT has excellent sound level reduction properties tested to BS 476 part 20 and also ISO 11600F class 12.5p to achieve a 55dba sound rating. CM ACOUSTIC INTUMESCENT also has a four hour fire resistance tested to BS 476 part 22. During fire conditions CM ACOUSTIC INTUMESCENT expands to form an insulated barrier. Good adhesion to most common building materials including plaster, concrete, wood, brickwork and anodised aluminium. Sealing gaps around window and door frames. Sealing gaps around skirting boards, plasterboard, staircases, architrave and coving. Sealing gaps and cracks in plastered walls and ceilings. Filling cracks in plaster and wood. CM ACOUSTIC can be easily painted or papered over, making it an ideal as a general decorating and renovating filler. 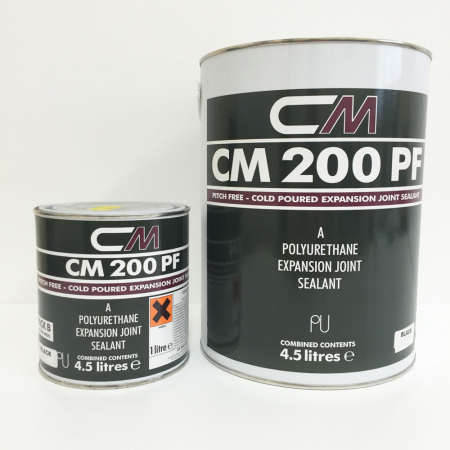 CM ACOUSTIC is a dispersion sealant, which will achieve excellent adhesion to a drying surface e.g. concrete, timber etc. Such surfaces can therefore be sealed when damp, but not wet. 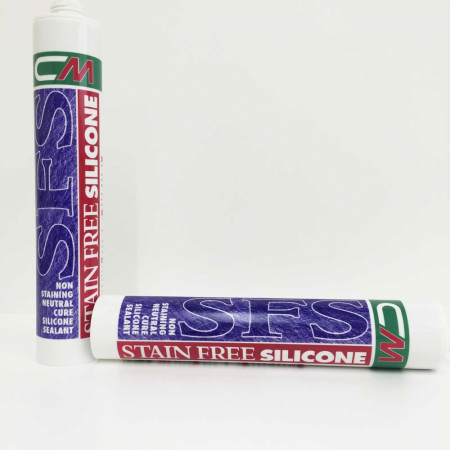 Surfaces to which CM ACOUSTIC is to adhere, must be clean and free of any loose material, standing water or contaminants which otherwise may impair the bond. Porous surfaces may be damp but not wet. 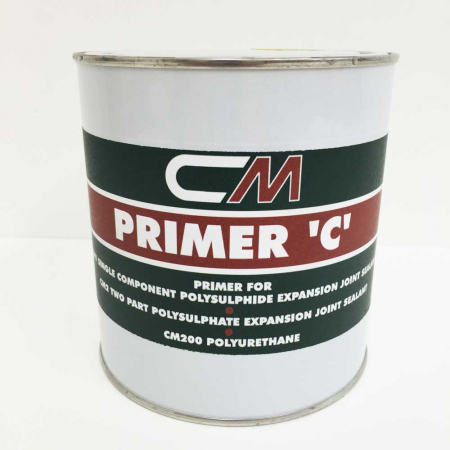 Non-porous surfaces such as aluminium should be cleaned with a suitable solvent such as Xylene. External applications should not be considered if rain is imminent. 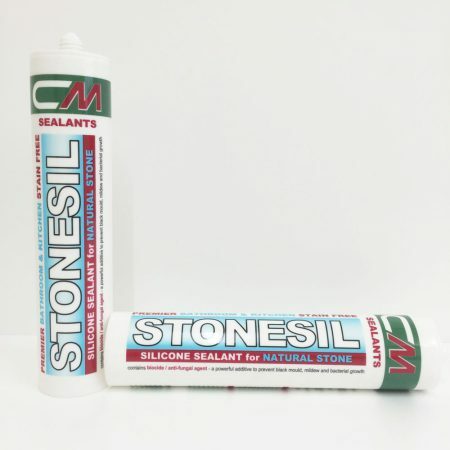 If conditions are suitable for application, ensure joints are properly prepared and apply sealant firmly into the joint using an application gun. Ensure a good solid fill is achieved. Once applied, the sealant can be tooled to the required finish. A degree of natural shrinkage will occur as a result of drying, so it is advisable to apply the sealant slightly proud of the required level to allow for this. Surrounding surfaces and tools can be cleaned with water. After 1 hour from application, the sealant can be over painted. Store in dry conditions between +5’C and +35’C and do not allow to freeze.